You’ve probably already heard the term “content marketing.” In fact, content – especially fresh content – will help your search engine optimization (SEO). Write a blog. 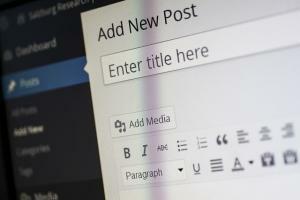 Since a blog post is often 300 words or fewer, you can repurpose white paper content into several blog posts. Use more informal language when blogging. Posting at different times keeps your white paper content fresh. Include it in your newsletter. E-newsletters often exist for the purpose of directing people to news and research. Grow your readership by writing an interesting summary of your white paper and linking to it. Tweet about it. Tweeting excerpts from your white paper is a great way to get more readers. Choose notable quotes that will encourage your Twitter followers to click through to the paper. Present it on YouTube. Repurpose your white paper into a YouTube video or presentation to engage your audience visually. Create a YouTube channel and be sure to link back to the white paper on your website. Slice it into bylined articles. You can also repurpose your white paper into one or several articles for trade publications. Just make sure that your article meets the requirements of each publication.